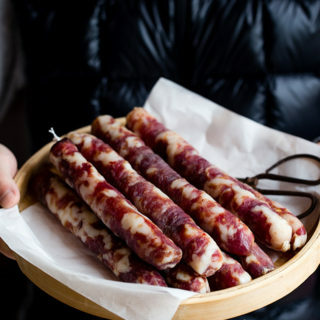 A classic Chinese steamed pork with preserved mustard, is a very popular Chinese party dish–Mei Cai Kou Rou. 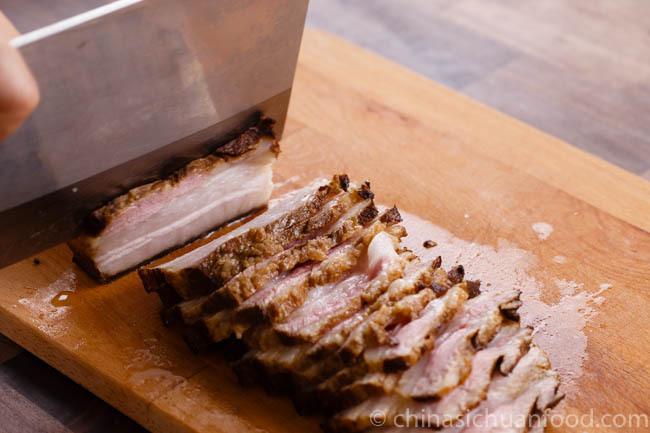 Pork belly provides enough fat which moisten the preserved vegetables and arouse the strong aroma. We usually make this dish for family part, usually steam a large batch each time. 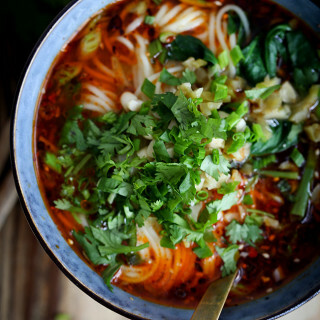 It can match with almost every type of staple food in China including congee, steamed rice, steamed buns and noodles. Another reason why we usually make large batches is the the best flavor comes in the second day after the re-steaming. 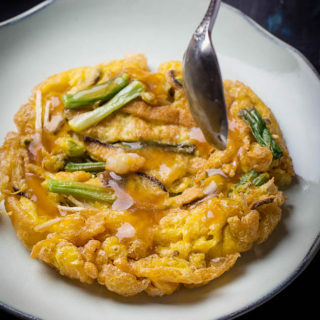 Another important ingredient for this dish is the preserved mustard we call Mei Cai (梅菜). In China, we are able to find moistened preserved mustard but it might be unavailable outside China. However, you can buy dried preserved mustard. 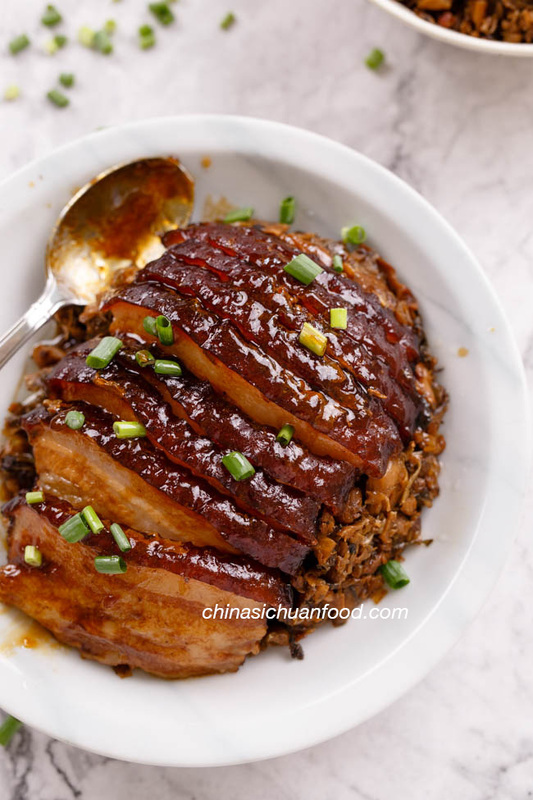 Try to search the highest quality as the lower quality mei cai may contain lots of sand, which will either cost a long washing time or spoil your final dish. 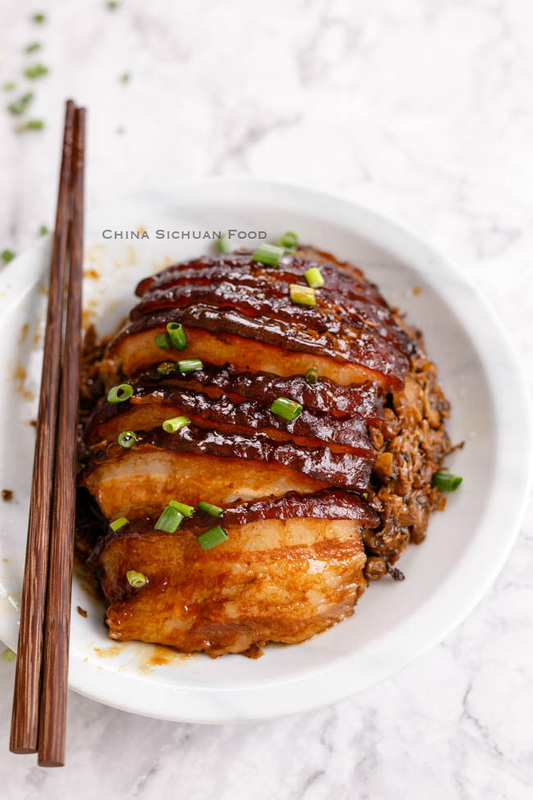 Add pork belly in a pot with enough cold water, add green onion, slices of ginger, 1/2 teaspoon of Sichuan peppercorn and 1 tablespoon of cooking wine. Bring the content to a boiling and then simmer for 20 minutes. Then transfer the pork belly out and Poke as many holes as possible on the rind. Those small holes can bring the rind enough wrinkles. 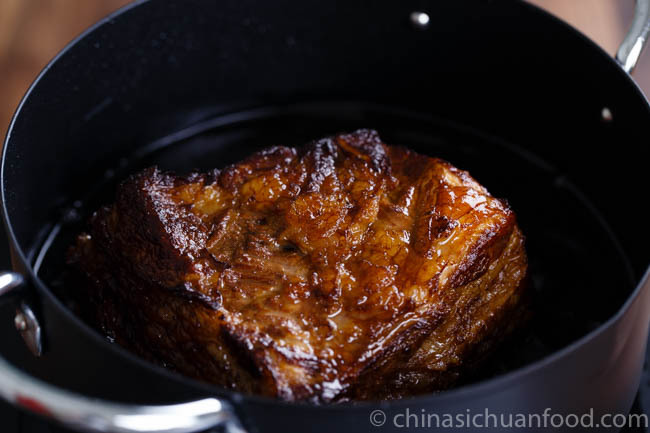 Then brush dark soy sauce on the surface of the pork belly cube and set aside for 15 minutes. Pour oil in a pot (recommend 2 cm oil level). 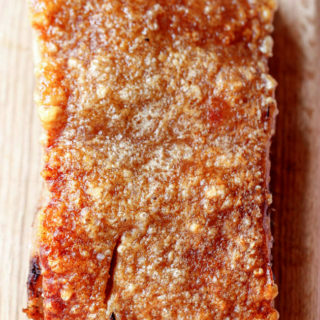 Drain with kitchen paper and fry the pork belly cube with rind downside. Cover a lid at the beginning so you won’t get yourself burnt by the hot oil. Fry for 6-8 minutes and then slightly fry the other sides too. 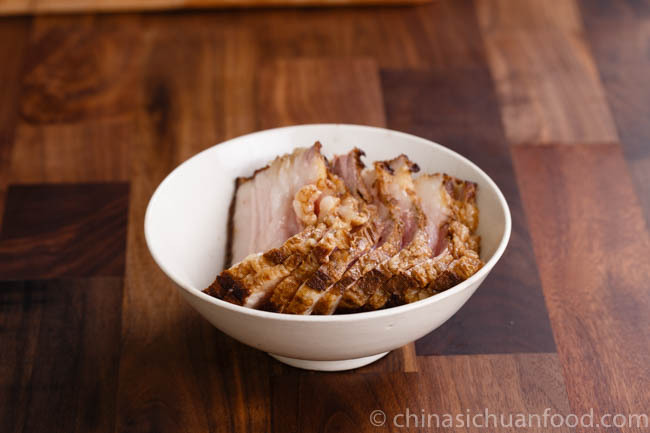 Transfer the pork belly out and soak in warm water for at least 30 minutes until the rind becomes slightly soft. 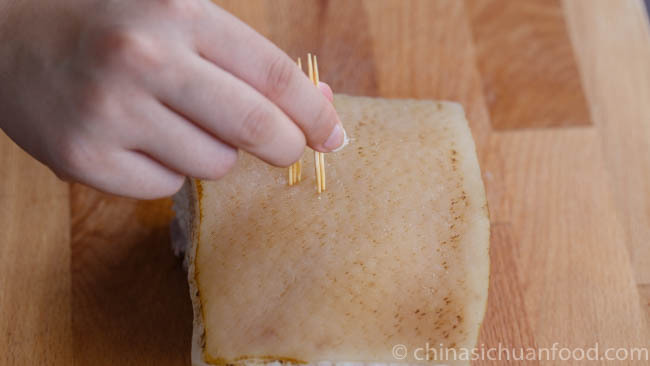 Cut the pork belly into 0.8 cm thick large slices. Lay those slices in the steaming bowls. Soak the mei cai with cold water and wash carefully. Drain and set aside. 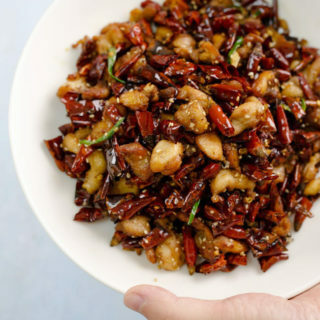 Add around 1 tablespoon of oil in wok, fry minced ginger until aromatic, place Mei Cai in and fry until dry. Mix all the sauce ingredients in a small bowl. Top the pork belly slices with mei cai and place 1 bay leaf, 1 star anise and 4-6 sichuan peppercorns on top in each steaming bowls. We make two bowls this time. Drizzle the sauce evenly. Set up the steamers and steam for 1.5 hours to 2 hours. Then pour the sauce out so we can thick them in the next step. Bring the sauce to a gentle simmer, and add the cornstarch to thicken it. Cover the bowl of pork with your serving plate and flip it over onto the plate. Pour the sauce over the dish and serve. Note: You can make a stock along with the steaming process. 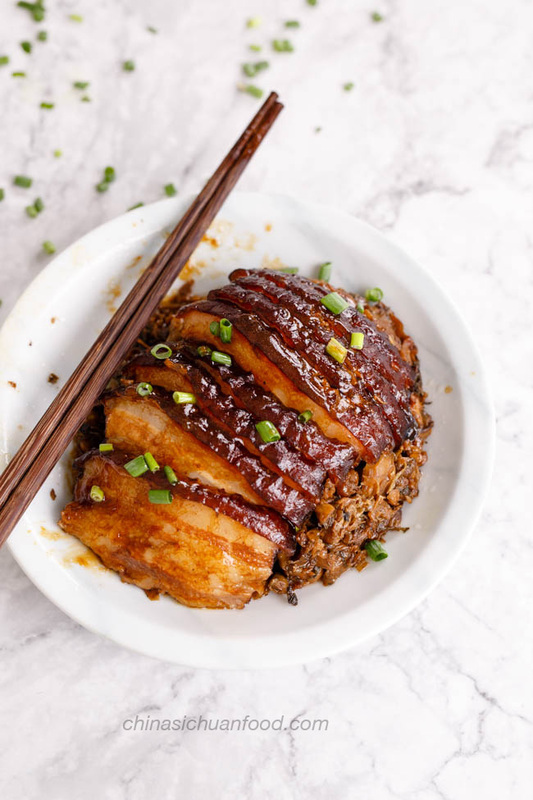 Add pork belly in a pot with enough cold water, add spring onions, slices of ginger, 1/2 teaspoon of Sichuan peppercorn and 1 tablespoon of cooking wine. Bring the content to a boiling and then simmer for 20 minutes. Then transfer the pork belly out and Poke as many holes as possible on the rind. Those small holes can bring the rind enough wrinkles. Top the pork belly slices with mei cai and place 1 bay leaf, 1 star anise and 4-6 sichuan peppercorns on top in each steaming bowls. We make two bowls this time. Drizzle the sauce evenly. Set up the steamers and steam for 1.5 hours to 2 hours. Then pour the sauce out so we can thick them in the next step. Bring the sauce to a gentle simmer, and add the cornstarch to thicken it. Cover the bowl of pork with your serving plate and flip it over onto the plate. Pour the sauce over the dish and serve. 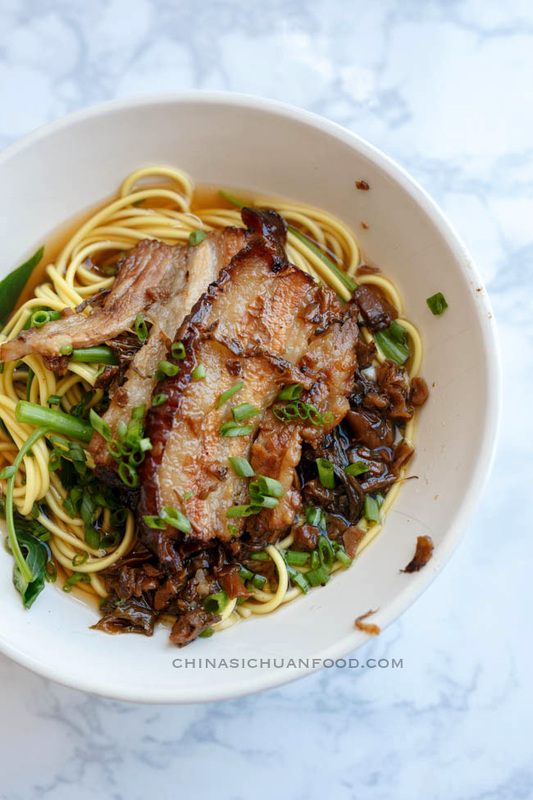 This dish is good with steamed rice or you can simply top the pork slices over noodles. this looks so great and delicious again, thank you ! But could you please explain what a steaming bowl is and how to steam it (any alternatives) ? Never heard of sth like that. Oops, it is just a term like rice bowls or serving plates. You can use any noodle bowls with a narrow bottom and larger opening. Oook, get it, big thx — watching the video made it completely clear! 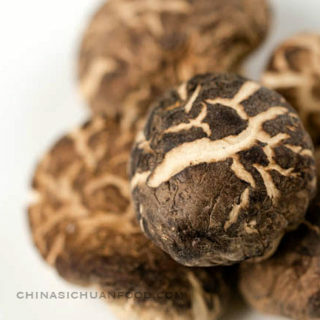 One more question: as you already mentioned, it’s impossible to get 梅菜 outside of China. At least I wasn’t able to find anyone offering it in Europe. What alternative would you recommend? I’ve access to these products / I guess some should fit: http://ugou.de/index.php/lebensmittel/eingelegtes.html?&___store=cn&limit=30 …though I’ve no idea which ones exactly. This looks also promising: http://ugou.de/index.php/lianfeng-senfblaetter-gesalzen-150g.html?___store=cn …if you could give me a hint, I’d be very grateful. I mean it is hard to get moistened preserved mustard. But you can get the dried version. The second link is the prefect dried preserved mustard. All you need to do is to soak them with clean water until soften back. Go ahead and I really hope that you will love this recipe. Hi Elaine! Thank you so much for this recipe. This is without doubt one of my all time favourite Chinese dishes. It is also a wonderful memory for me, as it was one of the earliest dishes I tried that made me fall in love with Chinese food (and my Chinese girlfriend!) during my college years. I really believe that food is a brilliant way to learn about other cultures and you are doing an excellent job in introducing and teaching foreigners like me about Chinese culture and cuisine. I also wanted to say how much I appreciate your efforts in building this website and all your other social media channels also. 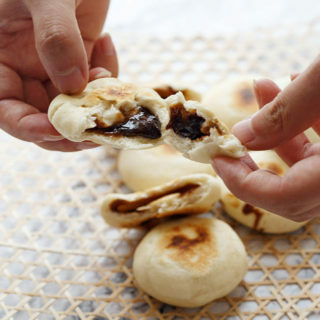 They are a really fantastic resource for those of us in the West who love authentic Chinese food and are trying to learn to cook it properly. 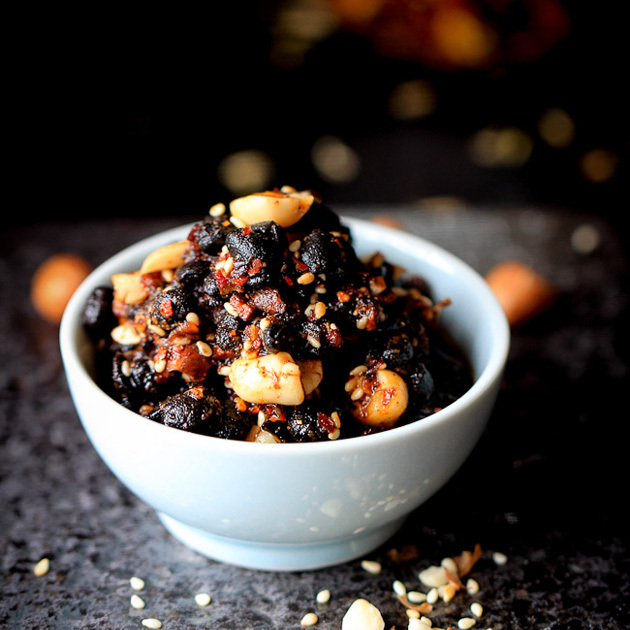 Sichuan and Dongbei cuisine are my particular favourites and its not always easy to find clear demonstrations of such dishes from native Chinese cooks in English. 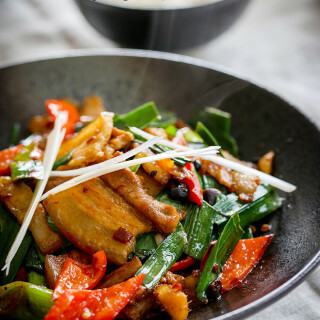 I own many cookery books from famous professional Chinese chefs, but I think your website and your recipes are every bit as good (and in many cases better!) than the ones from the cookbooks. Over the last few years I have found myself coming back here time and time again for inspiration and guidance, and the results are always delicious 🙂 So congratulations on everything you have achieved so far. I wish you many blessings and much continued success! First of all, thanks so much for such an encouraging comment. It Really made my tough testing days seem to be better. I had very bad experiences during my testing and experiencing days. I was exhausted but lovely comments like yours make me feel that after all of those hard tasks, my work is paying off now. 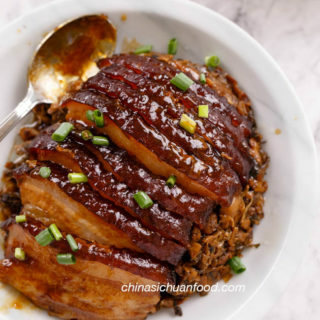 I will try my best to bring the authentic Chinese dishes, how we eat and the food culture in China to more foodies who love Chinese food the same as us. By the way, thanks for help checking the errors. I have updated the video description already. Happy cooking and enjoy your sweet time with your lovely girlfriend. I completely agree with Robert, I have 6 Chinese cookbooks, 3 are very good, huge and authentic cookbooks, yet I cook as many recipes from your website as I do from all 6 books together. Also, I live in the UK, and our understanding of Chinese food is extremely limited, certainly nowhere near the understanding that our American friends have. Your website is very important to me, it’s inspirational, and is even tempting me to visit Sichuan to experience more of this fantastic cuisine. Wow, this looks so delicious!! I’m definitely trying the recipe myself. Thank you for sharing it! I really hope it can amaze you especially after 1 or 2 times re-heating. Like Robert said, your website is one of the best. There are many cooking websites, but most of them just copy other people’s recipes. I truly appreciate the effort you put into creating and testing your recipes. Every dish I’ve made using your recipes has been successful. This one will be next! I do have one request though–please continue including vegetarian recipes. Thank you, thank you so much. Your words made my day!! All I know is that he is hard to please and quite picky to food. I will pass your word to him. when I buy pork belly in the supermarket, it either comes in (quite thin) slices or in big pieces as shown in your photos. The thing is, the big pieces always still have part of the rib bones on one side. So in this recipe when would be the best time to remove those? Right at the beginning, after the initial cooking or should I leave them in until I slice the meat for steaming? This dish brings back memories to my childhood, so nice meat with rice! Is it possible to make a vegetarian version of this dish? Can I use Tofu or Eggplant or anything else? I have not tried to use vegetable in this dish. But your idea is quite inspirational. I believe you can use tofu as a great substitute. But instead of common tofu, I would recommend freeze your tofu overnight. This helps to create small holes inside, which can absorb the sauce and make the slices delicious. Then you only need to fry the mustard and steam with tofu. But as I trust your recipes I wanted to give it another try when you published it. At first I must say, following your instructions it turned out really great! I’m going to make this again. I’d like to thank you for the advise to have a lid ready for the deep frying. That was really scary. Unfortunately I had glass lid, and when I dared to take it off, a lot of water that had condensed on it’s inside dropped straight back into the oil which led me to put it on very quickly again. I do have a question though. 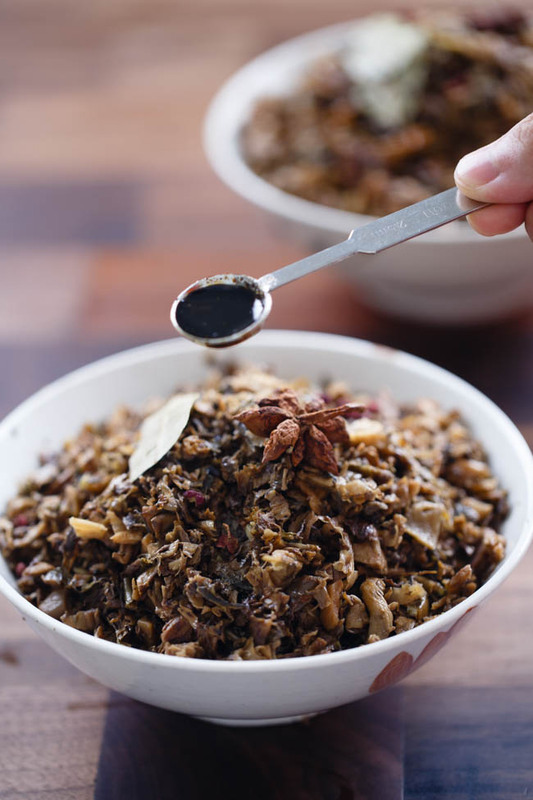 You write, that you can make a stock along with the steaming process. Now the initial simmering left me with some stock which was rich enough that I didn’t want do discard it. But the water I used for steaming didn’t take up any interesting taste and was in my view in no way fit to make a stock from it. Did I do something wrong or did I just misunderstand that sentence? I mean you can make a stock when steaming the pork. 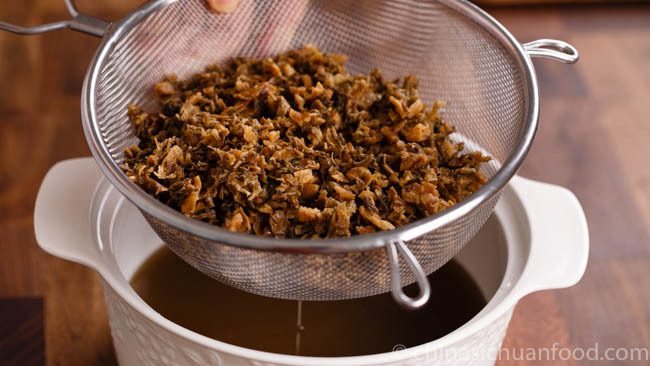 If you are using a pot steamer as me too, add several pork bones or chicken chunks in the steaming water. 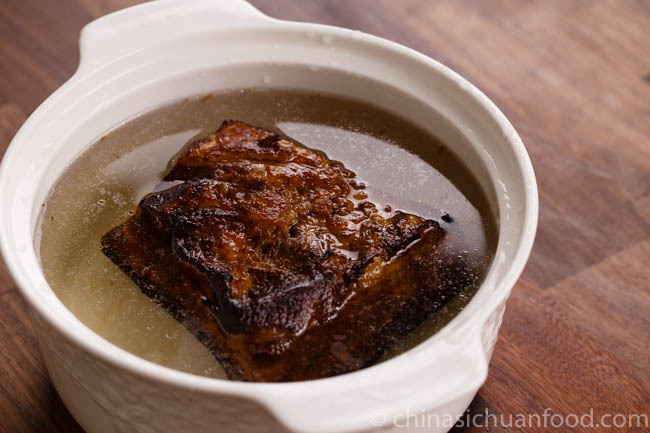 When the kou rou is well steamed, the stock is done too. I usually use this method just to save some energy and time. If you use water only, there should be no taste in the water. Ah! Thank you for the explanation. That indeed seems to be a sensible thing to do instead of just boiling water for almost two hours to get some steam. I tried it and it was very delicious!!! The whole family loves it and ask me to make it again. Thank you for a great recipe! You are the most welcome, Adam. I am so glad to hear the good news. I’m French and i’m really fond of sichuan cook, as my family. It’s very difficult to learn the principles of stranger cooking way, but it’s the big step i want to do. You’re website is really one of the most clear and learner. 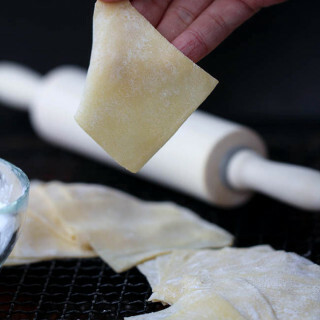 This recipe is the next i’will try to do with my son … i’ll give you our result ! I believe you will love it. 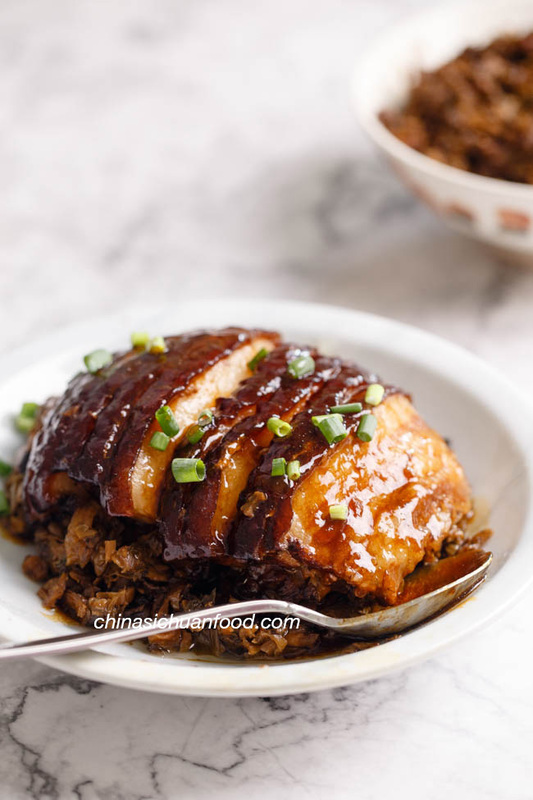 It is a very classic Chinese steamed dish.